What does the Clark School mean to you? Your first step in making a gift to the Clark School is to consider the types of assets you may contribute and the major giving methods. This page provides more detailed information on each method. You may also contact a member of the development staff at any time. Cash, check, and credit card offer convenience, and gifts made with these methods return a charitable income tax deduction equal to the amount donated. Checks should be made out to the University of Maryland College Park Foundation and include the designation of your choice in the memo line. Please visit our Giving to Maryland: A. James Clark School of Engineering page to explore various giving opportunity designations. 3207 Jeong H. Kim Engineering Bldg. Stocks and securities grant a full deduction equal to the fair market value of the donated shares. These gifts also generate a double benefit: donors pay no long-term capital gains taxes on the sale, thereby lowering the cost to them compared to giving the same amount as cash, check, or credit card. Real estate, land, personal property, non-publicly traded shares, artwork, and other illiquid assets offer donors the double benefit of a fair market value charitable deduction and the ability to avoid long-term capital gains taxes—with the additional added convenience of not having to be involved in the sale. Donors 70 ½ and older can take advantage of new provisions allowing direct charitable transfers of IRA assets of up to $100,000 per donor per year. These transfers count toward Required Minimum Distributions and are not considered taxable withdrawals. You may also visit Planned Giving at Maryland to learn more about planned giving opportunities. Income from the asset either in fixed or variable payments. This is done through a Charitable Gift Annuities or Charitable Remainder Trust. The asset itself. This is made possible by donating the income from that asset to the university for a set period of time, with the asset returning to the donor or family at the end of the term through a Charitable Lead Trust. 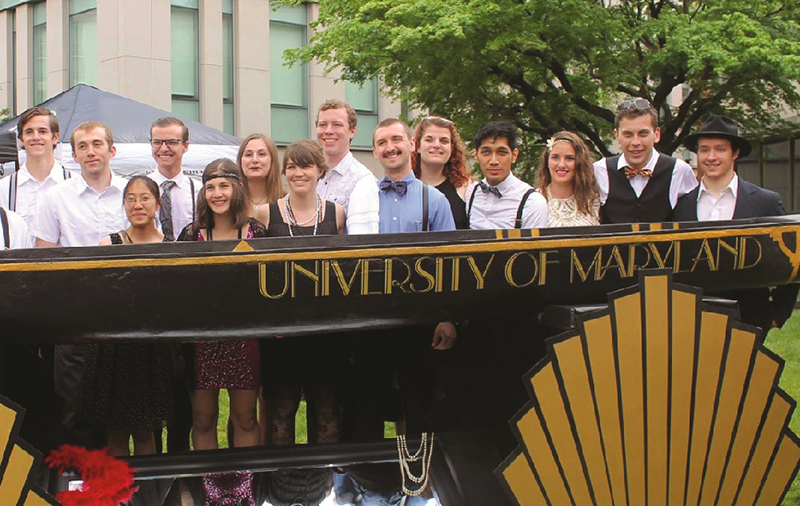 Charitable Lead Trusts deliver immediate, usable cash to the university. The use of the asset, if it is a personal residence—including vacation properties and second homes—or farm. The donor can transfer ownership but live in and use the property for life via a Retained Life Estate gift. To learn more about how these gifts support our students and faculty, please contact us.